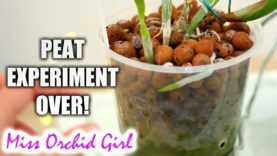 Today we talk a bit more about semi hydroponics and what orchids I don’t keep in this method. 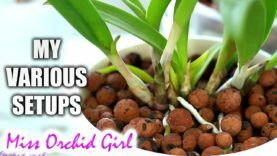 Before I give you my list of 2 types of orchids which I would not grow in s/h, let us find out why some of us cannot make semi hydro work, or at least not with all orchids. Let’s stop thinking that s/h is s/h and think that is a piece of wood, a mount. 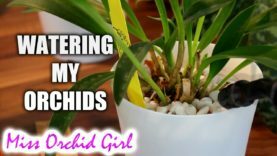 Does everyone enjoy keeping orchids mounted? as such not everyone enjoys keeping orchids in s/h, for the same type of reasons. Semi hydro implies air and moisture at the same time, but when I say air, I say a lot of air. Therefore orchids which don’t appreciate air pockets will maybe not appreciate semi hydro. 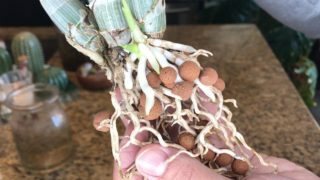 Depending on what type of terrestrial or litophyte we have, we can make it work with the help of the materials or even environment, but it’s not something everyone can do easily. There is also the chemistry that clay materials like these set inside the pot and how we deal with them. Some orchids will not mind the water parameters, others might. 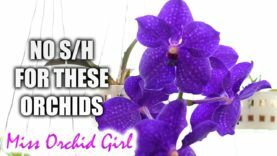 In the end, the orchids I don’t want to grow in semi hydro are Vandas and terrestrials (Paphs, Zygos, Promenaeas and others I’m sure). But I am sure some of you have great success with these orchids in semi hydro.